If you are a motorcycle courier, you'll know just how difficult it is to find good quality motorcycle courier insurance at a reasonable price. That's where Bikesure can help. We have a specialist motorbike courier insurance scheme designed just for people like you and our team of motorcycle enthusiasts are waiting for your call on 0800 369 8580. Most couriers expect to pay more for their motorbike courier insurance than other motorcyclists, due to the higher risks associated with the job. All too often, though, it seems that some motorcycle courier insurance companies use the higher risk as an excuse to justify premiums well beyond what is fair for a policy that may not always suit the distinct needs of the motorcycle courier. Bikesure is different. 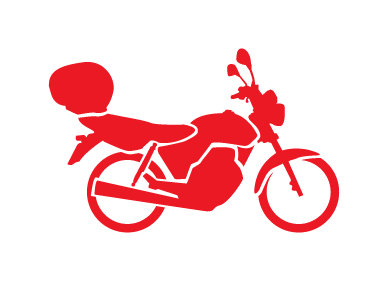 We have designed our motorbike courier insurance scheme with the needs of the courier foremost in our minds. 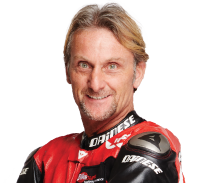 And because we recognise that you are a professional rider, we can reward you with cheaper motorcycle courier insurance cover if you can demonstrate experience. Because our motorcycle courier insurance is tailored to your needs, you can choose which features will benefit you most. Every motorbike courier insurance policy comes with £100,000 of free legal cover. Our best rates are only available on the telephone, so make sure you call us on 0800 369 8580 before you buy a policy. "I paid just £135 "